On January 25 this year Opposition and Thamil National Alliance (TNA) Leader R. Sampanthan left for London and then to the Scottish capital Edinburgh accompanied by his trusted lieutenant Parliamentarian M.A. Sumanthiran, MP. Sampanthan’s visit to Scotland coincided with the government taking steps to draft a new Constitution. Both Sampanthan and Sumanthiran participated at a constitutional workshop held to explore possible alternatives for political solution to the ethnic issue in Sri Lanka. It was held under the patronage of academics affiliated to Edinburgh University, with lessons to be learnt from Scottish experience in the United Kingdom and to study the devolution of power sharing by Scotland under Britain’s Westminster system. Many mistakenly believe that Scotland is sharing power with United Kingdom (UK) under a federal system. The constitution of UK is not federal but unitary. Scotland is a good example of country that enjoys devolved powers within a ‘unitary’ constitution. In fact, unlike many other countries, the UK has no single constitutional document, it has an unmodified or “unwritten” constitution. Much of the British constitution is embodied in written documents, in statutes, court judgments, works of authority and treaties. The core principles of the British constitution are (1) parliamentary supremacy, and (2) rule of law. The UK comprises four countries: England, Wales, Scotland and Northern Ireland. Nevertheless, it is a unitary state, not a federation (like Australia, Argentina, Brazil, Canada, Germany, Russia or the United States), nor a confederation (like pre-1847 Switzerland, the former Serbia and Montenegro or Canada). Although Scotland, Wales and Northern Ireland have legislatures and executives, England does not. The authority of all these bodies is dependent on Acts of Parliament and that they can in principle be abolished at the will of the Parliament of the UK. An example of a legislature that was created by Act of Parliament and later abolished is the Parliament of Northern Ireland, which was set up by the Government of Ireland Act 1920 and abolished, in response to political violence in Northern Ireland. However, Northern Ireland has since been given another legislative assembly under the Northern Ireland Act 1998. What is the difference between federal and unitary system of government? Government system of a country can be classified into two types of government. Either it can be a federal government or can be a unitary government. : Federal government is a type of national government in which government delegates the power to other elected member of the states. In a federal government, provinces or territories enjoys some rights as are available to the independent states. However international diplomacy, national security, foreign affairs and other kinds of international dealings are solely made by the federal government. It can be in form of federal republic like India, Pakistan or federal monarchy government as Canada or Belgium. Currently there are 27 federations in the world. Pakistan, India, Brazil, Switzerland, Sudan, etc. are examples of federal republic government while Australia, Belgium, Canada, etc, are examples of federal monarchy government. Unitary Government: Unitary government is a kind of government in which a single power known as the central government controls the whole government. In fact, all powers and administrative divisions authorities lies at the central place. When a unitary system exists in a multinational state, it is often predictable that values and beliefs of one nationality are imposed over the lesser ones. Today, most of the government system in the world is based on unitary system of government where the central government has the power. Even if certain powers of the centre are decentralised, the centre can create and abolish same at its will. It can be in form of unitary republic or unitary monarchy. UK, Afghanistan, Italy, Zambia Ukraine, Sri Lanka etc. are examples of unitary republic government while Kuwait, Saudi Arabia, Barbados, Morocco, Spain, etc are examples of unitary monarchy government. The Kingdom of Scotland was an independent sovereign state from the Middle Ages and continued to exist until 1707. Scotland entered into a political union with England on May 1, 1707 to create the Kingdom of Great Britain, despite popular opposition in Edinburgh, Glasgow and elsewhere. The union also created a Parliament of Great Britain which succeeded Parliament of Scotland and Parliament of England. Scotland’s legal system has remained separate from those of England and Wales and Northern Ireland. Scotland constitutes a distinct jurisdiction in public and private law. The continued existence of legal, educational and religious institutions distinct from those in the remainder of the UK have all contributed to the continuation of Scottish culture and national identity since the 1707 union. Following a referendum in 1997, a Scottish Parliament was re-established, this time as a devolved legislature with authority over many areas of home affairs. Despite Scotland’s three century-old union with England and the devolution of substantial new powers for the Scottish Parliament, the Scottish National Party (SNP) supports Scottish independence. At the general election to the Scottish parliament held on May 05, 2011 to elect 129 members, the SNP won a historic 69 seats (45.39% of the popular vote) and its leader Alex Salmond remained First Minister of Scotland. Following the defeat at the referendum he resigned his post. Nicola Sturgeon of the Scottish National Party (SNP) is the current First Minister of Scotland. However, the independence referendum held on September 18, 2014 was lost by the yes side by a majority of 55% to 45% on an 85% voter turnout. Surprisingly the majority of Scots thought that they can have the best of both worlds by remaining in the union, rather than benefit from a friendly divorce. R. Sampanthan has said finishing the war does not mean the ethnic conflict has been resolved. Building carpeted roads and operating Yale Devi does not resolve the National Question. What he wants is a just, reasonable, workable and a durable political solution within the framework of a united, undivided Sri Lanka. He asks for power to be shared between the centre and the northeast province(s). 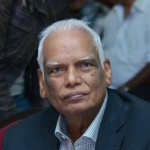 The TNA manifesto issued during 2015 elections to parliament clearly stated that Thamil People are entitled to the right to self-determination in keeping with United Nations International Covenants on Civil and Political Rights and Economic, Social and Cultural Rights, both of which Sri Lanka has accepted and signed. Power sharing arrangements must continue to be established as it existed earlier in a unit of a merged Northern and Eastern Provinces based on a Federal structure. The Thamil speaking Muslim historical inhabitants shall be entitled to be beneficiaries of all power-sharing arrangements in the North-East. This will no way inflict any disability on any People. If Scotland, with some 5m people has their own parliament and control education, banking, law and order, welfare and tax rates, why should 2.3 million populations be run from Colombo is a fair question that needs an honest answer. No consensus exist how to define democracy. It has been variously defined, but commonly it is defined as government by consent and discussion. The 1972 and 1978 constitutions were enacted not only without consent by the Thamil people; they were passed amidst opposition and protest. Genuine democracy means not unifying territory, but unifying people. In every election held since independence the Thamil people have decisively rejected those national parties dominated by Sinhalese that stood for unitary form of government. (1) The fear that like in 1947, 1972 and 1978 the constitutional process based on majority vote is ill-suited, particularly so for a deeply divided society like Sri Lanka. Hence, how the constitutional process will deliver an acceptable solution to the National Question. (2) The dominant nation has used the state, its constitutional and legal apparatus to preserve its dominant status. Under the existing hierarchical state structure the other constituent nations and peoples of Sri Lanka have been regarded as subservient peoples and nations to the dominant (Sinhala Buddhist) nation. (3) The National Question cannot be solved merely by guaranteeing individual rights, good governance and the rule of law. The National Question is about the right to self-determination of the different nations that constitute Sri Lanka including the Thamil Nation. The right to self-determination of the Thamil Nation is fundamental to Thamils to enjoy their individual rights and freedoms. (4) The constitution must recognize the right of self-determination of the Thamil Nation and must provide for a secular state. (5) The unitary character of the state permits Sinhala Buddhist nationalism too impose a deep hegemony through a composition of bounded unity of territory, state and nation of the island revolving around a majoritarian axis of Sinhala Buddhist religion, language, culture and people. Hence, the Forum believes that any devolution of power within the understanding of a unitary state will not resolve the problem. Devolution assumes power is with the centre and devolves power to the peripheral not as a matter of right, but on its own volition. This for reasons stated above is unacceptable. When the constitution identifies itself as unitary that devolution arrangements will be interpreted by courts within a unitary culture to favour the central government. 13th Amendment is a case in point. (7) The Forum stands for a federal model. It rejects the argument that the labels ‘unitary’ and ‘federal’ are unnecessary. There are fundamental characteristics of what a unitary and a federal constitution constitute. The assumption that federalism will lead to secession is a myth spread and perpetuated by the Sinhala political leadership. Secession is a matter of fact and its eventuality cannot be necessarily facilitated or prevented by a particular constitutional design. We saw the 13th Amendment as the first step towards devolving powers to the provincial councils, but we also saw how the centre refused to vest land and the police powers to the provincial councils. This is because Sinhalese politicians view devolution of power as the first step in creating separate state for Thamils in the North and the East a far fetched and fanciful theory. That territorial power sharing mechanism will threaten the territorial integrity of the state. However, such fears have no basis as long as the centre is in charge of defence. Divi Neguma Bill passed during Mahinda Rajapaksa’s tenure of office transferred powers vested by constitution and by tradition to an unelected Jana Sabhas was an insidious attempt to dismantle devolution. The Bill encroached into the sphere of the Provincial Council functions and it came at a time when Gotabaya Rajapaksa fervently advocating the abolition of the Provincial Council system and the 13th Amendment altogether. The Jana Sabhas were to have the power to prepare their own budgets and development plans and to obtain the necessary financial allocations from the central government. The elected provincial councils and local government authorities were to be legally obliged to seek approval from the unelected Jana Sabhas to launch any project. The worst aspect of the Bill is the involvement of huge amounts of money (estimated 80 billion rupees) through Divi Neguma banks which would not come under the Central Bank rules and supervision. Not surprisingly the then Supreme Court rightly determined that the Bill should have the consent of all the 9 Provincial Councils to become law. In 2012, there was no elected Provincial Council for the North. The legality of the consent letter submitted by the Governor of NPC was challenged by the TNA successfully in the Supreme Court. In the absence of an elected Northern Provincial council the bill needed to be passed with two thirds majority in national parliament. This ruling by the Supreme Court triggered a vindictive impeachment motion in parliament against the Chief Justice and his subsequent removal from office. I have dwelt at length on 13A and subsequent attempts to abolish it altogether to demonstrate the fact that parliament can abolish devolved powers altogether or just refuse to implement the land and police powers given in the constitution itself. The Thamil people have a long trail of broken promises, torn agreements entered in good faith, empty talks, history of oppression, mounting discrimination, loss of lives and lands and immense suffering. President Sirisena told the BBC Sinhala service that he will never agree to international involvement in the proposed judicial inquiry. This is after Sri Lanka co-sponsored the resolution adopted by the UNHRC on October 01, 2015 which called for inter alia “……and further affirms in this regard the importance of participation in a Sri Lankan judicial mechanism, including the Special Counsel’s office, of Commonwealth and other foreign judges, defence lawyers, and authorized prosecutors and investigators.” This came as a total disappointment to the Thamil people who played a major role in regime change. Today, there is real fear that history may repeat itself once again. We have a national government committed to good governance that offers a unique and historic opportunity to usher in ethnic peace, economic prosperity and political stability. The government must enact a constitution based on federalism that will give maximum autonomy to the Thamil speaking people to manage their own home affairs. Power sharing with a 10% of the population and 2/3rd of the Country. Of this 10% 6% or more living outside the N & E.
hello Thangavelu…. leave us in peace as it is ok as we are. You better mind your own business in whichever part of the world you live in. This is precisely what I am struggling to hammer into the heads of Tamil racists. All the Tamils can go across the water as they did in the recent past??? UNHCR can look after them. Mr. Jinnah was created by the British. He never asked for separation from India but stood with Mahatma Gandhi in fighting for freedom from the British rule. It was the British who persuaded Mr. Jinnah to demand for separation. In Sri Lanka the Sinhalese didn’t know much about federalism. The Donomore Constitution and later the Solbury constitution formulated by the British favoured and introduced a Unitary State ignoring the demands of the Tamil leadership. But later Mr.Bandaranayake favoured a federal state and canvassed for it and the Tamil leadership rejected it. Now the Chief Minister Vigneawaran is suggesting that India should intervene for a federal system of government in Sri Lanka. It is the British government not the Indian government who has to intervene and help the Tamils in establishing a federal state. A federal state for only Hindu and Christian Tamils in the North and East or for Tamil speaking people irrespective of their religion or date of arrival so that the Tamils living outside North and East can be relocated? Power sharing? What is he going on about. They have MPs have n’t they, like everybody else. What are they doing in the Parliament, snoring? “The National Question cannot be solved merely by guaranteeing individual rights, good governance and the rule of law.” Unfortunately this is a very worrying statement. How can we ever guarantee governance with this attitude will deliver democracy in a Federal Thamillian State? The National Question is the existence of divisive figures like this author and Gotabaya. Majority Sinhalese were ready to deny Sinhala chauvinism. Will Tamils do? how good federalism is, quoting examples like India and some western countries, flourishing under federal system and they still tend to treat the Tamils as second class citizens. They successfully silenced TNA under false promises. Under these circumstances, don’t you think that Tamils are wasting their time, pouring water on ducks back. The solution suggested was for the Thamil speaking people. Read my last para “Today, there is real fear that history may repeat itself once again. We have a national government committed to good governance that offers a unique and historic opportunity to usher in ethnic peace, economic prosperity and political stability. The government must enact a constitution based on federalism that will give maximum autonomy to the THAMIL PEAKING people to manage their own home affairs. So what happens after power sharing, TNA politicians will leave their posts as the Tamil problems are solved ? Nobody owns the country, on the contrary the country owns us, that too temporarily. Thangavelu is right in the sense, manage the country in such away people can live peacefully. This is not dog race. Who ever wants to manage in some method, let them do so, in such a way that all can live peacefully. Imaginations should not run wild. By this token, the Sinhalese speaking are also entitled to self determination, so are the Muslims. This argument is of Ethno-nationalism, not democracy. Is our democratic system insufficient for Good Governance and justice? Good Governance is possible, but ethno-nationalism is not, not within the present constitution. What about the 100 million or so in any Indian state- they do not have their own parliament. Still, the point is taken, and devolving power has been agreed in principle. It must be given time. It is more important that every Sri Lankan has the right to live without fear of violence in the form of terrorist attacks, war, and disease. One of the first steps would be to admit that the war was a tragic mistake, and a crime, and not to mourn the end of war. Those who regret the war ended are saying that their goals are more important than human lives and that is simply not acceptable. Any attempt to solve the national question should be through peaceful or democratic means, or patience should be exercised until this can come about democratically. Violence is not acceptable. The soution should come about through discussion or not at all. This is in keeping with all the major religions, I think. But not the religion of Ethno-Nationalism.